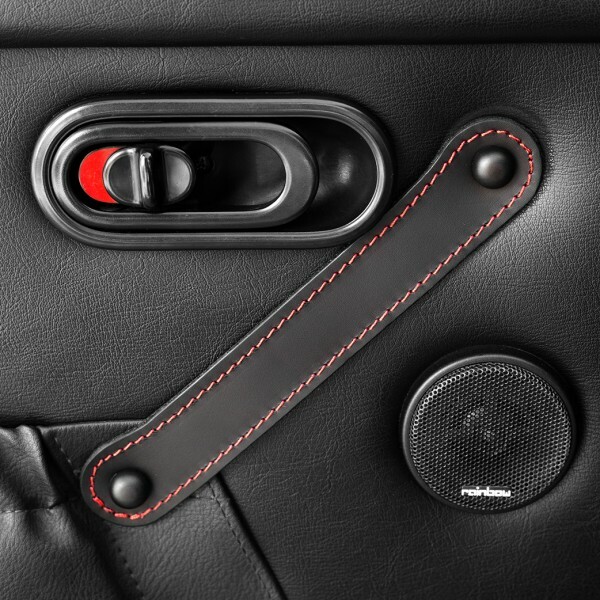 Dimensioned to exact fit, custom made from real leather, with rustproof eyelet as expected in convertible, this door pull will directly replace the original. This version features, additional to our regular design, black or red edge stitching. 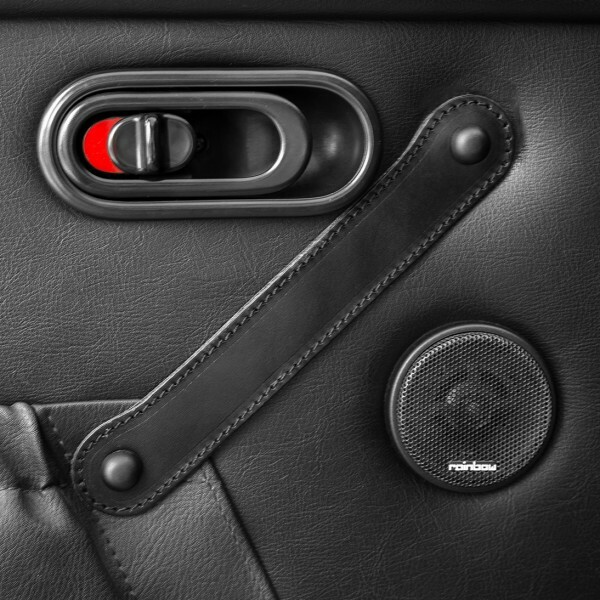 The leather design will subtle match the leather door trim of your "Roadster". It is P&P package by reusing the original screws.